If you’re a former or active-duty service member with a VA loan, you’re probably aware of the advantages that these loans offer. If you’ve had your loan for several years, or if you’ve recently had a change in your financial situation, however, it might be time to consider a refinance. The decision to refinance a loan is usually something that takes a lot of research. Usually, people choose to refinance a loan because they want a lower monthly payment, they need to take cash out of their home, and/or they want to get their loan paid off faster. While it’s possible to meet several of these goals with one refinance, it is necessary to determine what you want from a VA refinance before you start the application process. Due to the low interest rate offered by VA lenders, many people look to these loans to pay off higher interest debts or finance a new purchase or construction project. Pulling out any equity in a property is a good way to gain access to a large amount of capital very quickly. During the VA mortgage refinance process, it might be possible to qualify for a mortgage with a lower interest rate. When combining this with an extended payment term (for example, starting with a new 30-year loan), it’s possible to save hundreds of dollars a month on loan payments. Many people choose this option in order to free up cash for other expenses. In fact, with careful planning, refinancing a VA loan can help a family to pay off other debts much faster. For people who want to get their mortgage paid off faster, a VA mortgage refinance can help in several ways. If the loan can be refinanced for a lower interest rate, it is possible to retain a similar monthly payment but cut down the overall term of the loan. A more popular option is to cut down on the required monthly payment and allow consumers to decide each month how much extra they want to devote to the principal. Refinancing allows consumers to choose how they want to portion their cash flow. While each person may have different goals, there are many different options that allow consumers to customize a new loan to meet their needs. The lack of a down payment means that it is possible to pull 100% of the equity out of a property. In today’s mortgage environment, it can be very difficult to find a conventional loan that will allow a consumer to pull out more than 90% of the total value of a property, and many lenders prefer to leave at least 20% equity in a property when doing a cash-out refinance. The added flexibility may help you to meet your goals faster. VA loans are backed by the federal government, making it unnecessary to take a person’s credit score into account when determining if the loan will be paid back or not. Credit scores are still used by some lenders, however, to determine if a person will make timely payments on the loan. For this reason, it is possible to be assigned a higher interest rate due to bad credit. There are many lenders who don’t take this into account, however. Because VA loans are backed by the federal government, they tend to have lower interest rates than conventional loans. There’s also some evidence that these loans are paid back at a greater rate than conventional mortgages, making this type of lending very attractive to banks. Typically, the difference is only a fraction of a percentage point, but over the life of the loan, this can amount to thousands of dollars. Many of the fees associated with conventional mortgages are explicitly banned by the VA. While VA loans are not fee-free, it is possible to save thousands of dollars by avoiding some of the fees associated with conventional loans. There are also, however, several distinct disadvantages to VA loans. While some of these factors apply to other types of mortgages, it’s important to take these facts into account when considering a VA refinance. Every VA mortgage refinance comes with a mandatory funding fee. Depending on the number of previous VA loans that have been taken out by the borrower and the amount of the down payment, this fee can range from 1.25 to 3.3 percent. For a cash-out refinance, the funding fee starts at 2.15% for active duty military using VA for the first time to 3.3% for subsequent mortgages. For a family looking to simply reduce their interest rate of monthly payment, this fee might not be such a big deal. After all, other types of loans come with a range of fees that may or may not make a VA loan a better deal, even with a funding fee. The 3.3% for a cash-out refinancing can be a very steep fee, however, especially for consumers with very little equity in their property. VA loans are only allowed to be used on the primary residence of a consumer. There is one exception for properties that were once primary residences but are now being held as rental property, however, it’s important to note that each service member is only allowed to have one VA loan at a time. If you are someone who owns multiple properties, be careful with how you use your certificate. If you ever need to use the certificate to buy another property, you will have to refinance with a conventional mortgage or sell the property in order to use it. Properties that are financed with VA loans must meet certain standards in order to qualify. If a property already has a VA loan and its ownership is not changing, then it isn’t necessary to have the property reinspected. Consumers who are trying to switch from a conventional mortgage into a VA loan, however, may have to have the property inspected. In some cases, the VA may require that repairs are made before the loan application can be approved. VA loans are backed by the federal government, but each bank will evaluate the risk of these mortgages independently from other lending institutions. For this reason, it is possible to find VA loans that offer similar or even higher interest rates as other types of mortgages. 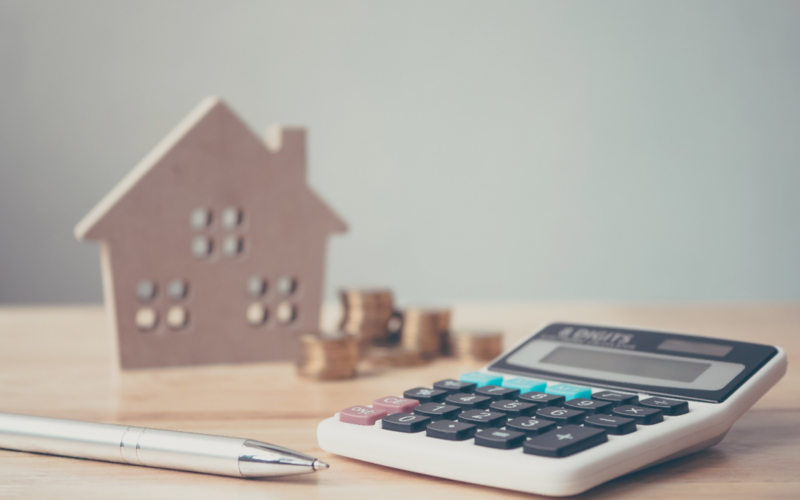 For many people, the key to determining what kind of loan to refinance their property with is to do a side-by-side comparison of the payment terms. Each lender should be able to give a consumer a breakdown of the interest rate, monthly payment, and the total amount of cash-out that can be given with each loan product the consumer is interested in. Comparing several different VA loans from a variety of lenders along with FHA and conventional loans will give a consumer the best idea of what their options are.